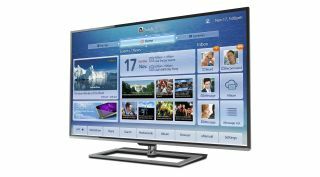 Ultra HD TV fans everywhere will be plunging into their savings like Scrooge McDuck as Toshiba has unveiled launch prices for its new range of TVs. Sitting down? Good. The 58-incher will retail at $4,999 (about £3,270, AU$5,400), the 65-inch at $6,999 (about £4,560, AU$7,570), and the mammoth 84-incher will cost $16,999 (about £11,145, AU$18,360). Toshiba has also announced that the new range will be hitting the US in August. All TVs will also come with Toshiba's Resolution Restoration technology, which up-scales non-4K images to look clearer and crisper. They also come pre-packed with smart TV features such as Cloud TV, which gives access to MediaShare and MediaGuide, alongside on-demand streaming services and messaging. What's more, Technicolor has certified Toshiba's Blu-Ray player and steaming media box for delivering 4K content. TechRadar asked Toshiba about a UK price but they're not confirming anything for the time being. They did, however, tell us that the TVs will arrive on UK shores "towards the end of the year".